A framework is not absolutely necessary: it is “just” one of the tools that is available to help you develop better and faster! Faster, because it allows developers to save time by re-using generic modules in order to focus on other areas. Without, however, ever being tied to the framework itself. This is the basic principle of a framework: Not having to reinvent the wheel. And doing away with foreboding, low value added tasks (for example, the development of generic components) in order to fully focus on the business rules. As an example, a framework will keep the developer from having to spend 2 or 3 days creating an authentication form (which is not a specific task). The time that is saved can be dedicated to more specific components as well as to the corresponding unit tests; giving you solid, sustainable and high quality code. On the other hand, the structure that a framework provides for the application makes it possible to avoid this pitfall altogether and it gives any developer - whether they participated in its development or not – the ability to easily “adopt” an application, to maintain it over time and to upgrade it both quickly and neatly, whenever necessary. In this regard, a framework is not a black box! 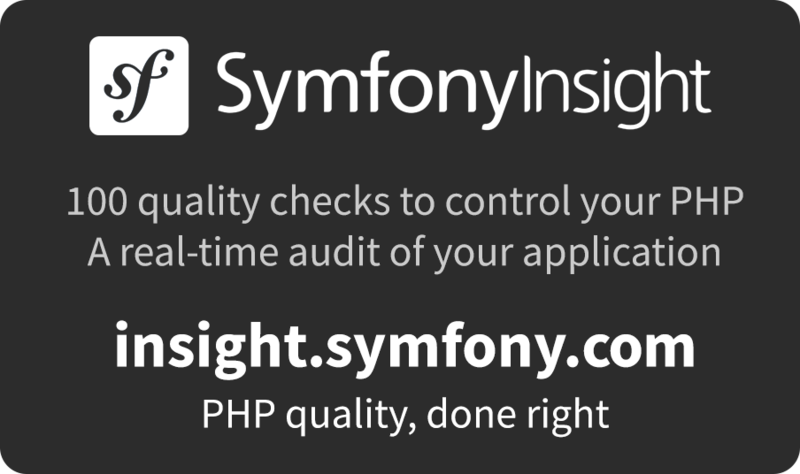 In the case of Symfony, it is still PHP... The applications that are developed are not limited to the Symfony universe, and they are natively interoperable with any other PHP library, for example. A framework is not an absolute necessity, but nonetheless it is very useful. A framework is a pledge of quality, upgradability and maintainability of applications at lower cost. Applications developed using a framework are interoperable with market standards.